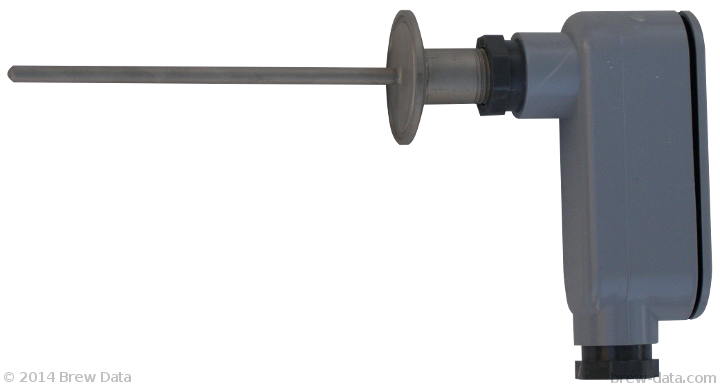 The BD1-S6M-P is a stainless steel temperature probe that utilizes the Brew Data BD1 solid state temperature sensing device. The solid state sensor converts temperature directly to a high level output voltage. This probe features a 1.5” Tri-Clamp sanitary fitting and a watertight PVC connection head.